Whether or not Socrates was right to assert that the unexamined life is not worth living, the last few months in publishing bolster the argument that the well-lived life is worth examining with a bumper crop of biographies. This month, we’ve taken a sample of five of these life stories, weighing in from a comparatively slim 415 to a hefty 779 pages, spanning the 13th century to the 20th, and starring subjects whose iconic status ranges from dance to filmmaking to, quite literally, rocket science. Having already chronicled the lives and times of such looming personalities as Ferdinand Magellan, James Agee, Al Capone, and Irving Berlin, veteran biographer Laurence Bergreen turns his pen to the almost implausibly grand story of one of the earliest Europeans to venture into Asia with Marco Polo: From Venice to Xanadu. 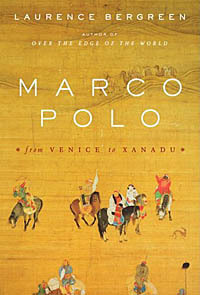 As if the task of separating Marco Polo the man from Marco Polo the legend presented too little difficulty, Bergreen took it upon himself to physically follow Polo’s footsteps through China, showing a historian’s commitment to getting the facts straight that extends well beyond simply burying oneself in sometimes contradictory primary sources. With Einstein: His Life and Universe, another biographical heavyweight enters the ring to take on another near-universally known-and oft-written-about-subject, one nearer to cultural touchstone than man. Former Time magazine editor Walter Isaacson, with the bestselling stories of both Benjamin Franklin and Henry Kissinger under his belt, has composed the very first profile of history’s most recognized theoretical physicist that makes use of his recently released correspondence. 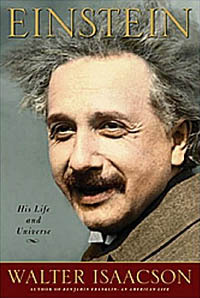 The result explores not only the processes behind Einstein’s achievements, but the unique philosophy of life that both contributed to and was informed by his scientific discoveries. Where so many other Einstein biographers have painted a chillier, more eccentric portrait, Isaacson humanizes. Also drawing on previously unreleased letters, journals, and footage, Julie Kavanagh’s sizable Nureyev: The Life documents the career of the celebrated ballet dancer who also had a foot in the cutting-edge field of modern dance that made him something of a pop star. 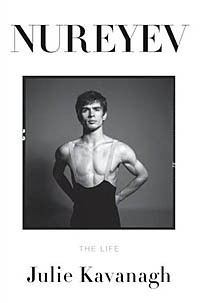 Though Kavanagh, previously dance critic at the Spectator and London editor at Vanity Fair and the New Yorker, focuses most intensely on Rudolf Nureyev’s long-running creative partnership with the Royal Ballet’s widely worshiped Margot Fonteyn, few other facets of his life are spared scrutiny. The book is about Nureyev’s genius, to be sure, but it refuses to neglect his caprice, his hedonism, and his regrettable stint in The King and I. 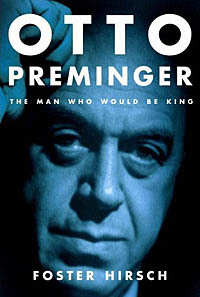 The less glamorous side of another famous creator is also on offer in Brooklyn College film professor Foster Hirsch’s Otto Preminger: The Man Who Would Be King. In the Viennese director’s case, a reputation for brusqueness bordering on cruelty threatens to overshadow the legacy of his work. Hirsch’s scholarship reminds us of Preminger’s artistic importance and breakage of nearly every institutionalized rule of filmmaking in the 1950s and ’60s: Preminger’s inclusion of hitherto “forbidden” subject matter, for instance, loosened the grip the Motion Picture Association of America’s production code held on the industry, while his prodigious use of black and blacklisted talent helped to destroy the era’s most regrettable taboos. If shaking things up sometimes requires a little rudeness, so be it. 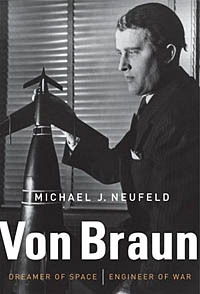 A yin-and-yang quality is present to an even greater degree in Michael J. Neufeld’s Von Braun: Dreamer of Space, Engineer of War. While Americans growing up in the postwar era came to know Wernher von Braun as the brilliant father of their country’s space program, his involvement in engineering the V-2 rocket, an enduring symbol of Nazi-wrought destruction, has since come to light. Neufeld, chair of the Space History Division of the Smithsonian’s National Air and Space Museum, writes of a scientist not motivated by any particular nationalistic feeling or set of ideologies, but by a longing for the unexplored vastness of space. America gave him the chance he’d been waiting for all his life; what a pity Hitler’s underlings were the first to play to von Braun’s weakness.